Boileau, John. "Thomas Ricketts, VC". The Canadian Encyclopedia, 24 March 2017, Historica Canada. https://www.thecanadianencyclopedia.ca/en/article/thomas-ricketts. Accessed 18 April 2019. 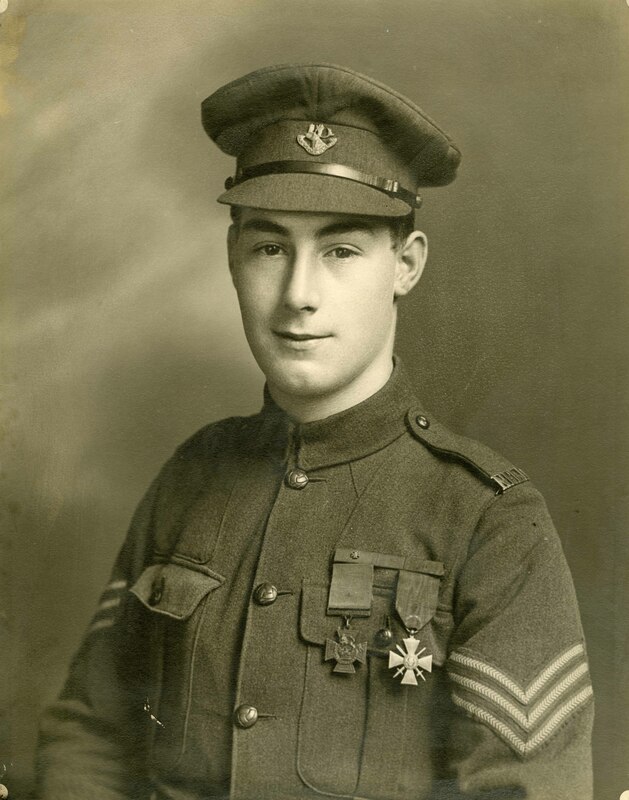 In 1918 during the First World War, 17-year old Newfoundland soldier Tommy Ricketts became the youngest-ever recipient of the Victoria Cross. Tommy Ricketts was the son of John, a fisherman, and Amelia. As a youngster, he served in the Church Lads’ Brigade, an early cadet movement in Newfoundland. In September 1916, in the midst of the First World War, Ricketts lied about his age to get into the army and enrolled in the 1st Battalion, Newfoundland Regiment (later called the Royal Newfoundland Regiment). He stated his age as 18 years and 3 months, much older than his real age of 15. Ricketts went overseas in April of the next year, arriving in France in June. In August, shortly after his arrival on the Western Front, Ricketts saw his first action during an attack across the Steenbeek, a small stream in Belgium. Later, in the fighting at Marcoing near Cambrai, France, in November 1917, he was wounded in the leg. In September 1918, the regiment was transferred to the 9th (Scottish) Division, with which it fought for the rest of the war. On 14 October 1918, Ricketts was in action at Ledeghem, east of Ypres, in Belgium. During an early morning attack in heavy ground mist, the regiment, led on the right by Ricketts’s B Company, initially drove the Germans back and captured three enemy pillboxes, or reinforced gun emplacements. By mid-morning the mist lifted, revealing the Wulfdambeek, a stream two metres deep that had to be crossed in full view of the enemy. The regiment crossed, in the process sustaining heavy losses, and advanced another 900 metres when the troops were pinned down by enemy shelling. The unit had outrun its own artillery support and casualties began to mount. Ricketts’s platoon commander, Lieutenant Stanley Newman, with a small group of men and a Lewis gun (light machine gun) detachment that included Ricketts, went forward to try and outflank the German gun position. When they advanced as far as they could, Ricketts volunteered to go forward with his section commander, Lance Corporal Matthew Brazil, in a further attempt at outflanking the German position. The two soldiers advanced in quick rushes, under heavy enemy fire, until they were about 275 metres from the German battery. Then they ran out of ammunition. The enemy realized this and began bringing up reinforcements. Volunteering again, Ricketts dashed 90 metres back towards his unit’s lines, picked up some ammunition and returned to his section commander, all under heavy fire. With the additional ammunition, Ricketts and Brazil, the only two unwounded Newfoundlanders remaining in Lt. Newman's small group, forced the Germans back to some nearby farm buildings. As a result, Ricketts’s platoon advanced on the enemy without sustaining any more casualties. In the process, they captured four field guns, four machine guns and eight prisoners, soon afterwards adding a fifth field gun to the tally. 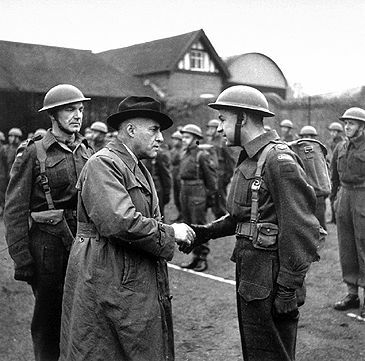 For his heroism, Ricketts was awarded the Victoria Cross. Later, the French government also presented him with the Croix de Guerre with gold star. For his part in this battle, Brazil received the Distinguished Conduct Medal. 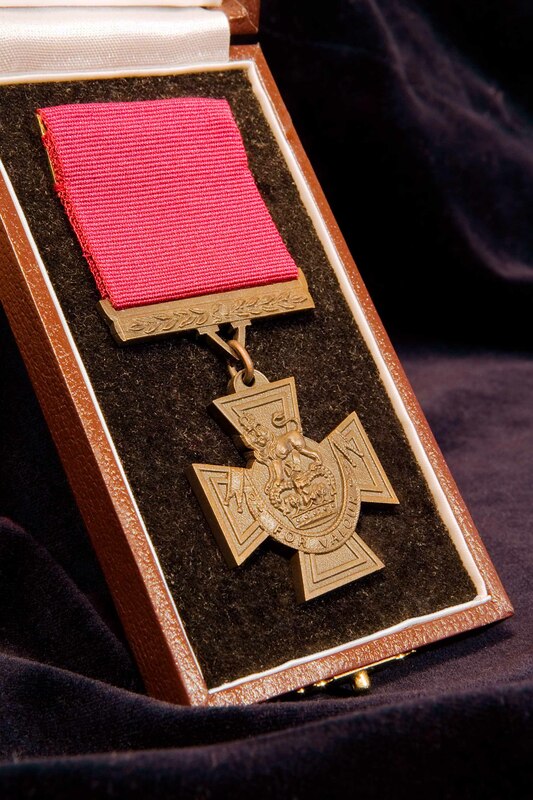 The Victoria Cross (VC) is the highest award for military valour in the British Commonwealth. Ricketts’s VC investiture was held on 19 January 1919 at Sandringham, England, the country estate of King George V. The ceremony was a private one, as the King and Queen were in mourning for their youngest teenaged son Prince John, who had died the day before from the complications of a medical condition. Rather than delay Ricketts’s return to Newfoundland and demobilization, the King agreed to a special investiture. The reporter was a man who was to become a celebrity himself in future years as Newfoundland’s most famous son — Joey Smallwood — who brought the colony into Confederation in 1949. Ricketts returned to school, entered Bishop Feild College in 1920, followed by Memorial University College. On graduation, he was employed at McMurdo’s drugstore, where he passed his pharmacy exams. He eventually opened his own St. John's drugstore on Water Street at the corner of Job. 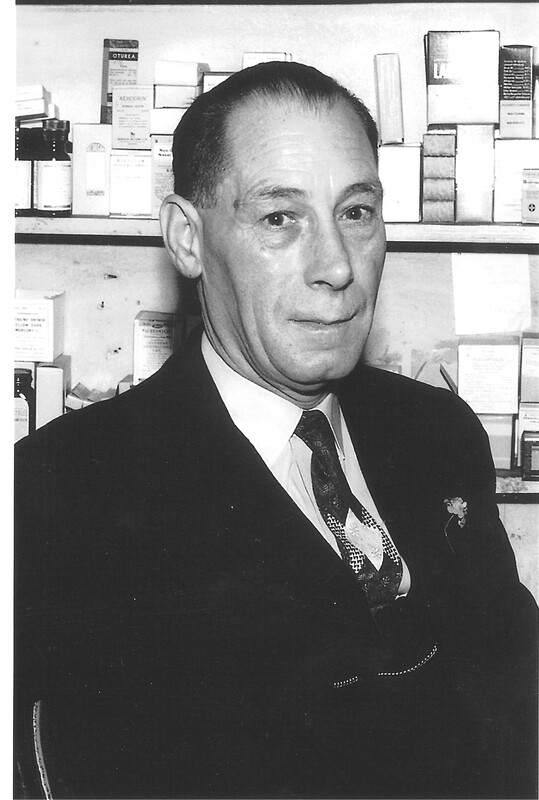 A rare photograph of Tommy Ricketts, taken in his St. John's drugstore in 1957, where he would die of a heart attack 10 years later. Ricketts continued to shun publicity, and even seemed to draw further into a protective shell. He refused to give interviews, have his photograph taken or appear in public, even during royal visits. He did however, travel to London in 1929 to attend a reunion of VC recipients. In February 1967, Ricketts, who was not a healthy man, collapsed and died of a heart attack on the floor of his store. The hero who survived two years of fighting on the Western Front was two months short of his 66th birthday. John Boileau, Valiant Hearts: Atlantic Canada and the Victoria Cross (2005); Dan Black and John Boileau, Old Enough to Fight: Canada’s Boy Soldiers in the First World War (2013), Col. G.W.L. Nicholson, The Fighting Newfoundlander (1964); Sydney Frost, A Blue Puttee at War: The Memoir of Captain Sydney Frost, MC (2014). Royal Newfoundland RegimentAn article on Private Thomas Ricketts, on the website of the Royal Newfoundland Regiment. Canadian War MuseumA brief overview of Newfoundland's role in the First World War, on the website of the Canadian War Museum. CBCAn article on Thomas Ricketts – with a link to a radio segment about his family's donation of his Victoria Cross to the Canadian War Museum – on the website of CBC Newfoundland and Labrador.